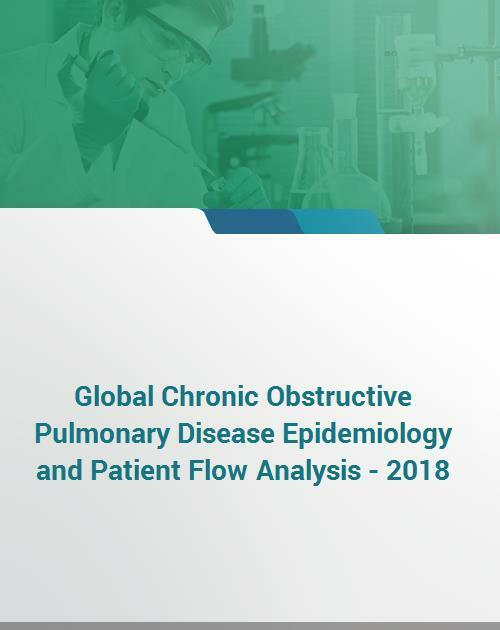 The researcher announced the results of its Chronic Obstructive Pulmonary Disease patients study in a new research ‘Global Chronic Obstructive Pulmonary Disease Epidemiology and Patient Flow Analysis - 2018’. The research provides insights into Chronic Obstructive Pulmonary Disease epidemiology, Chronic Obstructive Pulmonary Disease diagnosed patients, and Chronic Obstructive Pulmonary Disease treatment rate for US, Japan, and EU5 countries. The research measures key indicators including prevalence of Chronic Obstructive Pulmonary Disease derived from epidemiological analysis, patients diagnosed with Chronic Obstructive Pulmonary Disease, and patients treated with a drug therapy. The research study helps executives estimate Chronic Obstructive Pulmonary Disease market potential, assess unmet need, develop drug forecasting models, and build population-based health management frameworks. The information presented in this study is used to evaluate market opportunities, effectively identify target patient population, and align marketing decisions. The research provides estimates and forecasts of Chronic Obstructive Pulmonary Disease prevalence, Chronic Obstructive Pulmonary Disease diagnosis rate, and Chronic Obstructive Pulmonary Disease treatment rate for the period 2017 - 2026. The information is presented by leading geographies including the US, Germany, France, Spain, Italy, UK, and Japan.